Let’s get juicy! It has been a great year for apples and at Féile na nÚll, the 3rd annual Apple Festival taking place in the ecovillage at Cloughjordan this Saturday. And you can bring your own apples to get them juiced. Bring your apples for mashing and pressing and, if you have an apple pie or tart recipe you are proud of, consider entering the Apple Bake contest. The day features a number of talks and activities that are open to the public. 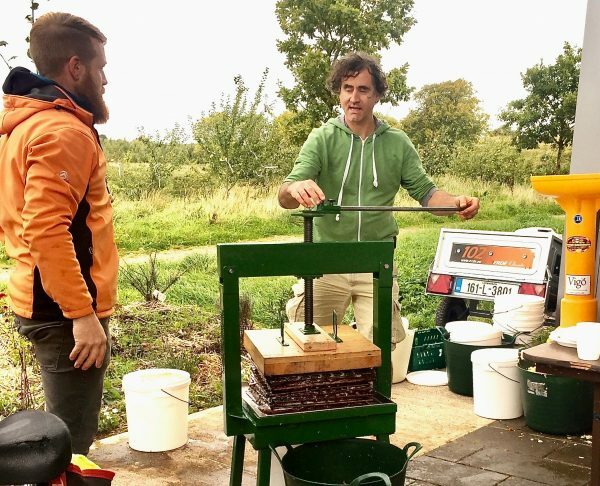 Highlights include workshops on seed saving, on basic income, an exhibit on the Sustainable Development Goals, and an introduction to the WeCreate FabLab. There, a workshop will be held on the amazing opportunities for local businesses and community organisations offered by digital fabrication. There will also be and a presentation on the ecovillage followed by a tours of the allotments, research gardens, the apple tree walk, the Stop Food Waste composting area and the community farm, where demonstrations of working horses and cattle will take place. There will also be food, craft and book stalls, games and music from local singer songwriter Nicantsaoi, who is releasing her new single “The Apple Walk”. In the evening there will be a celebratory shared meal and open mic night for the Cloughjordan Community Farm’s 10th Anniversary Birthday! Bring a dish to share and an instrument to play! This festival is one of the events of the European Day of Sustainable Communities, a celebration of local initiatives taking action for a better, more sustainable world. Over 60 events will be held in 15 countries across Europe.